Our Office is conveniently located right in the heart of Birmingham City Centre – just a short walk from the main stations and shops. From NEW STREET STATION – (Approx. 7 min walk) Exit the station by the Stephenson Street Exit. Cross the road directly outside and head up Lower Temple Street. Turn left onto New Street (Pedestrianised road) and then 1st Right onto Bennett’s Hill. Then just continue in a stratight line for 5 mins (Bennetts Hill turns into Newhall Street at the 1st Traffic lights) until you get to the main Great Charles Queensway traffic lights. Lancaster House is on the far right corner of the crossroads. From SNOW HILL STATION – (Approx. 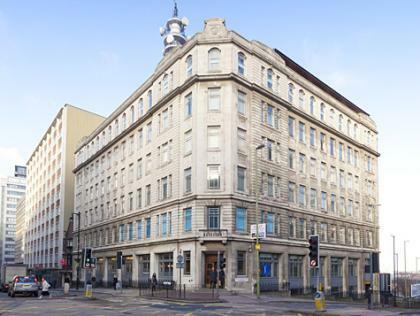 5 min walk) Exit the station onto Colmore Row and turn right. Continue along Colmore Row until you reach the traffic lights (junction with Newhall Street) and turn right. Then just continue in a stratight line for 3 mins until you get to the main Great Charles Queensway traffic lights. Lancaster House is on the far right corner of the crossroads. Most buses stop on Colmore Row or Corporartion Street. For buses stopping on Colmore Row follow the ‘Snow Hill Station’ directions above. For those stopping on Corporation Street – go down Corporation Street to the bottom (Ramp) and turn right onto New Street and then follow the ‘New Street Station’ directions above from the Bennetts Hill turn. There is plenty of on-street (Metered) parking on Newhall Street on both sides of the Great Charles Street junction although it is cheaper on the non-city side. The best Car Parks are the NCP on Newhall Street (by St Pauls Square – B3 1SW) or Snow Hill Station (See above).